You probably think Jeans Foot #8/8D is only for sewing jeans and other denim projects (the name is a dead giveaway). Don’t let it fool you, Foot #8 is a great foot for a variety of fabrics and projects. It is a great straight stitch foot that works on all types of fabric. Keep reading to see why I love Jeans Foot #8/8D. This foot comes in two versions. 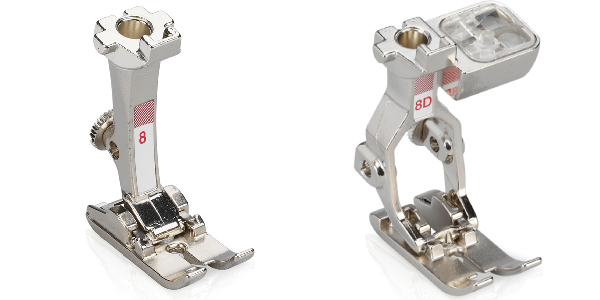 Foot #8 is for machines with a maximum stitch width of 5.5 mm and #8D that works with the Dual Feed function on the 9mm models. Note: The needle opening on each of these feet is narrow. The foot is designed as a straight stitch, center needle position. If your machine has the dual feed function, use the dual feed option (indicated by the D after the number). It is the best choice for most projects as it feeds the layers of fabric together with very little slipping or shifting. Click here to see a video tutorial about using Jeans Foot #8D. 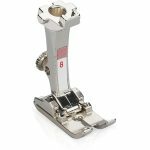 Jeans Foot #8/8D will make a difference in the look of your topstitching. You can topstitch with an all-purpose foot but for the best-looking stitch, try Foot #8. 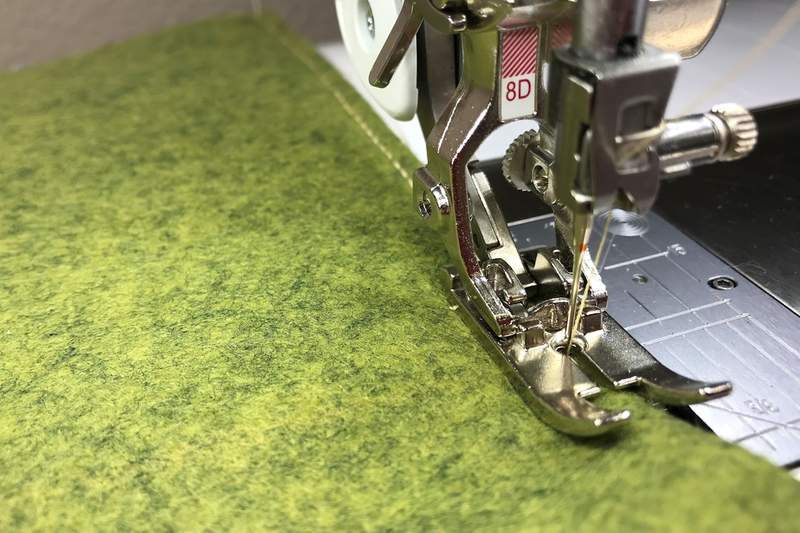 It has a narrow needle opening and works well with the straight stitch plate to focus the needle as it stitched into the fabric. 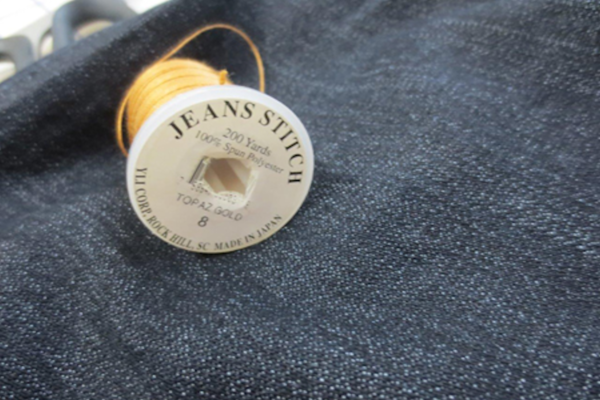 Great for topstitching denim and other heavy fabrics but it also works on other fabrics such as quilting cotton, linen, and all weights of wool. Click here for general tips on topstitching; add Foot #8/8D and you’ll love the results! Because it is called a jeans foot, we know that it must work well for stitching through layers of denim so it makes sense you can also use it for other tough materials. Try it when sewing items made of canvas and upholstery fabrics such as seat cushions, slipcovers, pillows and outdoor tarps and furniture covers. For the best penetrating power, use a 100 Jeans or Denim needle with the straight stitch plate. 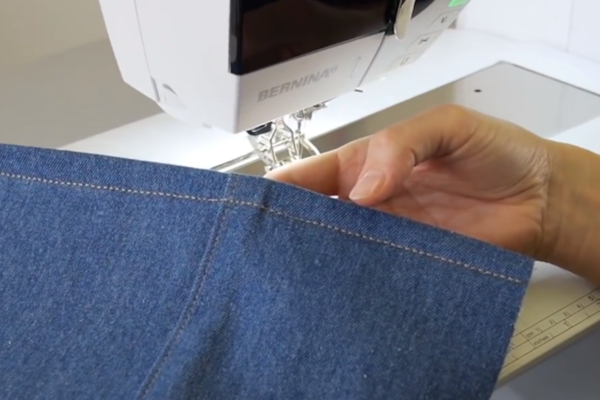 Click here for a tutorial on hemming jeans. 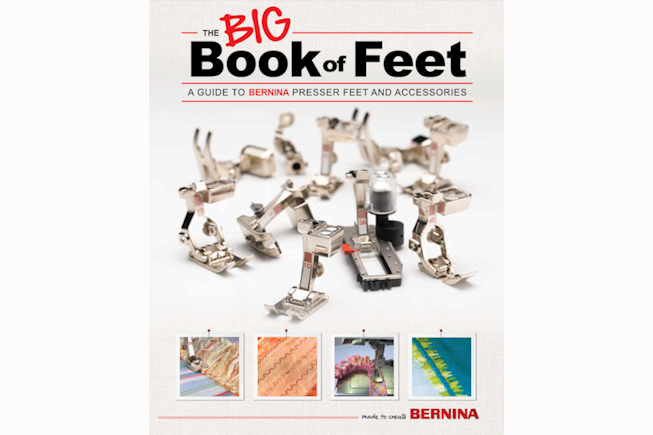 For more information about Jeans Foot #8/8D, see the Big Book of Feet at your local BERNINA store. What tension settings do you use with the top stitch heavier thread? Any suggestions for this machine?